The “Forever GI Bill,” which contains several provisions to help modernize GI education benefits, was signed into law last week as the Harry W Colmery Educational Assistance Act of 2017 (PDF). CAEL is a proud supporter of this legislation, advocating for its passage and encouraging our partners to do the same through our higher education networks. CAEL focused most of its policy efforts on changing the way low-cost “national tests” such as the College-Level Examination Program (CLEP) test or a LearningCounts assessment, were being treated under the Post-9/11 GI Bill. 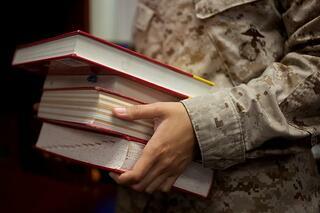 Veterans earn 36 months of GI Bill educational benefits. Instead of charging based on the actual cost of the test, post 9-11 veterans were incurring a charge against a full month of benefit. This statutory provision created a disincentive for veterans to use low-cost standardized tests and portfolio assessment to earn college credit. With the new legislation, the cost for such a test will be at the actual amount charged, which is consistent with other GI Bill chapters, such as the Montgomery GI Bill. While housing allowance will be slightly reduced for veterans who enroll after January of 2018, there is good news on the housing front for veterans who want to take online classes. Specifically, students will be compensated based on where they take the majority of their classes, as opposed to where the school is located. This provision helps to address what has been a significant disincentive for students engaging in online classes. It will also make it easier for colleges and universities to develop innovative programs that incorporate online delivery in programs to meet the needs of this mobile population. This change will take effect in August 2018. Our economy demands that workers continually upskill through lifelong learning. The removal of the arbitrary 15-year limit will make it possible for veterans and their families to earn meaningful credentials at any stage of their careers. CAEL will continue to support policy efforts to remove disincentives and barriers for student veterans and their families to gain the education and training needed to succeed in civilian careers. We salute the Student Veterans of America for its leadership and other members of its coalition for their dynamic work to pass the Forever GI Bill. We look forward to continuing to work together on behalf of those who have served in the military and their families. Click the link below to learn more about how CAEL works to better serve the education and employment needs of veterans.